Joe Berlinger (far right, standing) on the set of "Extremely Wicked, Shockingly Evil and Vile"
A scene from "Extremely Wicked, Shockingly Evil and Vile"
Becky Sloan (l) and Joe Pelling, aka Becky & Joe, on the set of "Don't Hug Me I'm Scared"
A scene from "Don't Hug Me I'm Scared"
Director Joe Berlinger is no stranger to Sundance. He has over the years debuted six lauded documentaries there, the last being WHITEY: United States of America v. James J. Bulger in 2014. The first was back in ‘92 when he and colleague Bruce Sinofsky’s Brother’s Keeper won the Audience Award. In ‘96, Paradise Lost: The Child Murders At Robin Hood Hills, also helmed by Berlinger and Sinofsky, earned a Grand Jury Prize nomination as did Berlinger’s Crude in 2009. In between Paradise Lost and Crude came Berlinger and Sinofsky’s Metallica: Some Kind of Monster at Sundance in 2004. Fast forward to 2012 and Berlinger’s Under African Skies made its initial splash. This year Berlinger again found himself in the Sundance spotlight--but not for a documentary. Rather for the first time he brought a scripted narrative feature to the festival: Extremely Wicked, Shockingly Evil and Vile, a chronicle of serial killer Ted Bundy (portrayed by Zac Efron) told from the perspective of his longtime girlfriend Liz (Lily Collins) who had refused to believe the truth about him for years. Extremely Wicked, Shockingly Evil and Vile was selected for Sundance’s Premieres program, a showcase of some of the most highly anticipated films of the coming season. Movies that have premiered in this category in recent years include The Big Sick, Call Me by Your Name, Boyhood and Mudbound. Extremely Wicked screened at Sundance on the 30th anniversary of Bundy’s execution. Also timed around that time was the release of Berlinger’s separate documentary series on Netflix--Conversations With A Killer: The Ted Bundy Tapes. On the surface it would appear that Berlinger is a master orchestrator, providing narrative and documentary insights into Bundy at a historically relevant juncture. But he explained that the timing of the projects is pure happenstance. Many moons ago, Berlinger was approached by two journalists who interviewed Bundy on death row. They had audio tapes of the interviews and wanted them to serve as a springboard for a documentary or series fashioned by Berlinger’s true crime acumen. However, Berlinger was heavily booked on multiple projects at that point, noting he didn’t even have time to listen to the tapes. Years later, the project resurfaced. “I was surprised the tapes hadn’t been utilized,” said Berlinger. “This time I took a listen and found them to be a compelling, unique way into the story.” Berlinger committed to the documentary series, produced by RadicalMedia and the director’s Third Eye Motion Picture Company. Berlinger has a longstanding collaborative relationship with Radical. He maintains an office there and the company has been supportive of his short and long-form endeavors spanning features, TV, and providing him with representation for commercials and branded content. The stop-and-start nature of the film production business delayed the timetable but elements ultimately fell into place. Voltage Productions, an indie producer of narrative films, lined up international financing and distribution and was at Sundance to make inroads into securing a North American release deal. 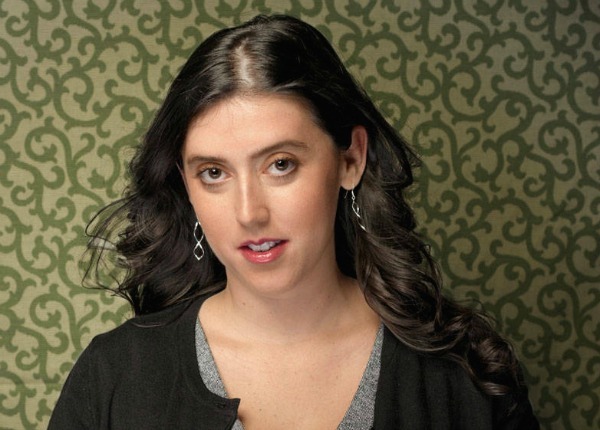 Director Alison Klayman also has a special Sundance bond. “I feel that Sundance helped launch my career as a filmmaker,” she related, hearkening back to her first feature documentary, Ai Weiwei: Never Sorry, which debuted at the festival and won a Special Jury Prize for its Spirit of Defiance in 2012. That career has been realized with such films as The 100 Years Show about Cuban-American artist Carmen Herrera, and Take Your Pills which explores how today’s do-more-better-faster society has spurred on the usage of prescription stimulants such as Adderall and Ritalin, particularly in colleges, Silicon Valley and on Wall Street, virtually any place fueled by the need to succeed and where there seemingly aren’t enough hours in the day to get ahead. Take Your Pills debuted on day one of last year’s SXSW Fest and a week later rolled out on Netflix. Klayman, who also directs commercials and branded content via Washington Square Films, just returned to Sundance with The Brink, which centers on Trump strategist Steve Bannon, following him upon his exit from the White House less than a week after the infamous Charlottesville “Unite the Right” rally in August 2017. The Brink tracks Bannon through the 2018 mid-term elections in which the Democrats regained control of the House of Representatives. The documentary also looks at his endeavors overseas to further push the far-right agenda. Klayman credited her producer Marie Therese Guirgis with gaining access to Bannon. Guirgis had worked at an arthouse film distribution company, Wellspring, which was bought in 2003 by a small investment group headed by Bannon. At Wellspring, Bannon served as Guirgis’ boss for three years. They developed what she described as “a mutually respectful and unusually candid relationship.” The two stayed in touch for a few years after the company closed in 2006 but then drifted apart as he became increasingly invested in right wing politics and a major force in the Tea Party movement. Guirgis reached out to Bannon about doing a documentary, with a filmmaker embedded in his world and maintaining total creative control of the project. He turned her down repeatedly before eventually agreeing to doing the film. Director Michael Tyburski’s Sundance pedigree has evolved from short to long form. Back in 2013 his Palimpsest--which he directed and co-wrote (with Ben Nabors)--was nominated for the Sundance Short Film Grand Jury Prize while winning a Short Form Special Jury Prize. Palimpsest introduced audiences to the house tuner, a New York-based psuedo-therapist character who musically tunes living spaces for the benefit of their residents. The rich vein of that character was tapped into again for a recently debuted feature, The Sound of Silence, scripted by Nabors and Tyburski, with the latter directing. Produced by Washington Square Films and Anonymous Content, the film--selected for this year’s Sundance U.S. Dramatic competition--has our house tuner continuing to calibrate the sound in people’s homes in order to adjust their moods. But a client emerges whose problems can’t be solved by a good tuning. The Sound of Silence has a cast headed by Golden Globe nominee Peter Sarsgaard (who portrays the house tuner) and Emmy nominee Rashida Jones. Helping bring that love letter to fruition was, said Tyburski, Washington Square Films “who,welcomed us into their New York home about a year ago,” coming aboard to join Anonymous Content, which also represents the director for features. Joshua Blum, founder and president of Washington Square Films, noted that his company had been tracking the film and its premise for several years as its head of development Rebecca Feinberg was intrigued by the project’s potential early on. Blum and Feinberg are both EPs on The Sound of Silence. Washington Square Films also knows a thing or two about returning to Sundance. The Sound of Silence is the 10th film the company has premiered at the festival, including Margin Call, Listen Up Philip and Crown Heights, which won the Audience Award in 2017. Meanwhile Washington Square Films is also exploring possibilities with Tyburski in commercials and branded content. Tyburski has extensive directorial experience in the ad arena. Directors/writers Becky Sloan and Joseph Pelling (aka Becky & Joe) teamed with writer Baker Terry to create Don’t Hug Me I’m Scared, a cult YouTube series which has inspired a TV show pilot. This pilot just debuted as part of Sundance’s Indie Episodic program. The TV pilot and multiple episodes of the YouTube show were produced by Blink Industries, the entertainment arm and development studio of Blink Productions, which also houses Blinkink, the company repping directors Becky & Joe for commercials and branded content. Don’t Hug Me I’m Scared exists in an entirely bespoke, mixed-media world where puppetry meets 2D and CG animation, voiced by Sloan, Pelling and Terry. The series creators noted that writing a half-hour version of the show that retained the spirit of the shorts while not making you want to claw your own eyes out was a challenge--the same goes for directing and producing. They explained that the joy of working in mixed media is primarily that you can choose a medium to match the story and not be as limited by budgetary constraints. Sloan, Pelling and Terry made the TV version of the show in order to expand the scope of Don’t Hug Me I’m Scared’s offbeat world and prove their longer-form series concept. A home for the series has not yet been decided upon. The hope is that the Sundance exposure will help in the search for the right creative partner. Honored to have their pilot selected for Sundance, creators Sloan, Pelling and Terry praised the festival’s addition of an Episodic category as it provides a valuable platform for a range of material that would possibly suffer from under exposure otherwise. It’s an encouraging acknowledgment that these indie episode pieces are taken as seriously as features and shorts, noted Sloan, Pelling and Terry. Don’t Hug Me I’m Scared has been taken pretty seriously as an online series, amassing 200 million views and 2 million subscribers worldwide. The trailer for the half-hour TV show generated 5 million views in five days following its release and was ranked the number one trending video on YouTube in both the U.S. and U.K.